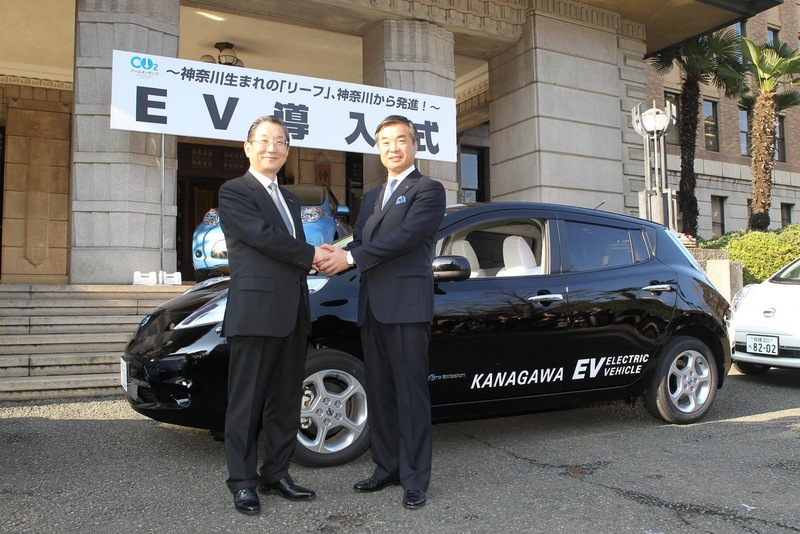 The Kanagawa Prefectural Government is the first to receive a Japanese specified Nissan LEAF EV. Despite the LEAF being assembled in Japan, the very first car was delivered to a 31 year old male customer in California, U.S. The black LEAF was delivered this morning to several representatives by Nissan COO Toshiyuki Shiga. The Kanagawa Government will ultimately own 10 LEAFs as both government transportation and rental cars. Kanagawa’s government said that the LEAF rental cars will be part of its EV Sharing Model Business proposal, which will permit local residents to rent out the EVs for short term use via a unique deal with Nissan Rent-a-Car. On weekdays, the rental cars will be used as government vehicles and on weekends, local residents will be given the opportunity to sample a LEAF. 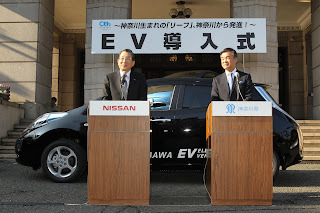 Nissan’s global HQ, Kanagawa said it’s devoted to increasing EV use. The government expects to place more than 3,000 EVs on the road thanks to comprehensive financial support programs.